Not many believed this year in the Blue Wave men’s baseball team and they have proved everyone wrong. They’ve sported one of their best starts in years and a large part of that is due to the bullpen. With three seniors and all upperclassmen on the roster, this team unit does not only boast skill but experience as well. “Coming into the year people were quick to point out our flaws but after our hot start hopefully they begin to take notice,” senior Jackson Vaught said. Take a look at some details concerning some of the team’s standout players. 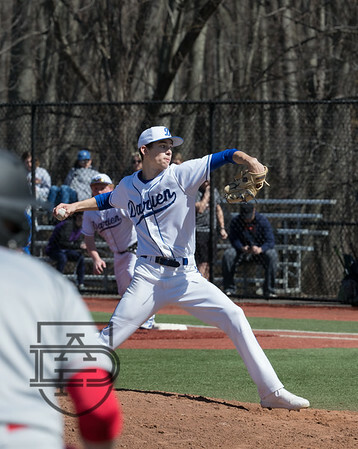 Justin Jordan – A lethal lefty who is capable of playing both center field or stepping on the mound when the team needs him. His left-handedness gives hitters a different look and makes it difficult for them to be comfortable. He usually comes in the rotation as one of the top guys and that speaks volumes to the trust Coach Scott has in him. His go-to pitch is a circle change with unpredictable but always effective movement. Senior captain Justin Jordan showing off his arm. He does everything for this team. Simply irreplaceable. Henry Williams – One of the best players on the team and is only a junior. He loves the fastball on the corners and is capable of giving the hitter a lot of diverse options to be faced with. Henry is headed to Duke when he graduates and a lot of that has to with his size as well. 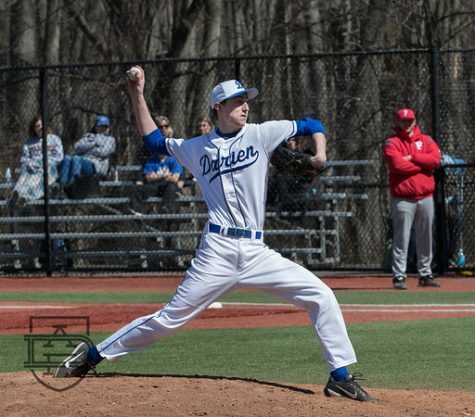 He is the tallest pitcher on the team and commands attention on the mound. His potential is sky high and hopefully he can close out the year strong. Hank Williams is on his way to becoming one of the top players in the FCIAC. JVDG – Justin is one of the more consistent players on the team. He can play a lot of positions and takes the mound often in tough situations. He has a loaded array of pitches and can do whatever the coach needs him to do. His versatility has already got him nominated for spring season athlete of the week once this year. Jackson Vaught – Vaught is the team’s primary closer and is frequently thrown into tough yet critical situations. He is trusted often by Coach Scott to either maintain or pull-off tight victories. He is tall and long and uses his length well occupying the mound and slinging the rock. In dire situations Vaught uses his circle change and raves about the pitches’ “reliability”. 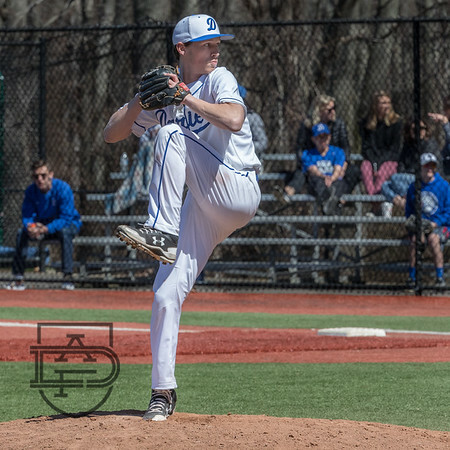 Senior Jackson Vaught is one of the clutchest pitchers in the FCIAC. James Louis/Mac McLean – Both juniors with their first year of varsity experience who will be very important players next year. Coach Scott has eased them into the roster this year playing them on the mound for a few innings at a time. 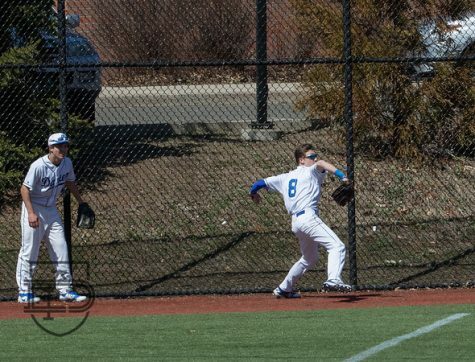 McLean also plays third base full time and has been great defensively all season. Louis has done a great job in the spots he’s been put in.